Whew! Last week was rough. It was supposed to be a carefree time since it was Christmas but I came down with strep throat on Monday. And ran 20 miles with it on Tuesday! Toughest run ever!! It majorly sucked. My 20 miler was 50 minutes longer than my previous 18 miler. The fever really did me in and then I felt even worse as the day went on. I thought it was just a cold, but went to Urgent Care the next day, and nope--strep. Since I was contagious, I didn't head home until mid day on Christmas. Even then I was still scared to get too close to anyone. Not my favorite Christmas ever! Then I was completely exhausted so I didn't run again all week. I feel like I keep getting sabotaged around this time. Last year, I got injured. This time, illness kept me out! Luckily, I'm feeling mostly back to normal--just a little more tired than normal. But I'm glad it's taper time! Monday: rest. Faith and I were supposed to do 20 miles but it was raining when we woke up and I just couldn't bring myself to do 20 miles soaking wet. It would be hard enough without it. I started feeling sick during the day but Kory and I still met up with Meredith and Dan at Longhorn for dinner since she was in town. I had to be boring again by having plain chicken, rice, & baked potato. The things you do for running. Tuesday--20 miles in 4:11:49. Mile 1: 10:54, Mile 2: 10:47, Mile 3: 12:29, Mile 4: 12:25, Mile 5: 12:24, Mile 6: 12:26, Mile 7: 12:18, Mile 8: 13:02, Mile 9: 12:15, Mile 10: 12:12, Mile 11: 12:03, Mile 12: 12:33, Mile 13: 12:12: Mile 14: 14:41, Mile 15: 12:20, Mile 16: 12:20, Mile 17: 12:15, Mile 18: 13:22, Mile 19: 13:28, Mile 20: 15:21, Average Pace: 12:35. My phone died at mile 19.38. Thank goodness for my Garmin watch! This run really did me in both physically and mentally. My body hurt the rest of the day, probably from the fever. Luckily, the next day my body felt fine (well, from running..not so much from sickness). But mentally--I felt so confident after the 18 miler and this just stunk. I can't get it through my mind that the fever really took that much out of me but I'm really hoping it did. I'm hoping the marathon goes a lot better! 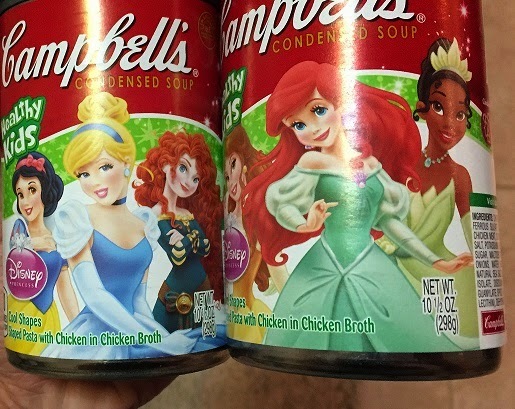 I wasn't feeling like much but wanted soup and decided I wanted Princess soup. Kory came back with 2 cans. He said they had different princesses on them and he didn't want to screw it up. Too cute! Wednesday--rest. I had to work at Disney to keep my job (we have to work 150 hours in a rotating calendar year and I needed 4 hours that day). Then I went to Urgent Care where the diagnosed me with Strep. Fun, fun. I came home and just crashed on the couch for the night. I felt like a milk shake so we ordered from Red Robin. But when Kory went to pick it up, they were out of milkshake mix (seriously??) He went to Publix to get ice cream but they were already closed since it was Christmas Eve and all. So he stopped by 7-11 and grabbed some. But then our milk was expired so he had to use my holiday Mint Chocolate Milk. And he threw in some bananas because he knows I liked them. So it turned out to be a Mint Chocolate Banana milkshake. Sounds gross but it's totally something I would order and it hit the spot! We also watched A Christmas Story since I'd never seen it. And I think I'm the only person in the world who thinks its a dumb movie. I'll stick to my heartwarming ones. Still a rough way to spend Christmas Eve though. Thursday--rest. Christmas Day. We got up and dropped Bella off at a friend's house then headed up to my brother's house in Jax. My parents' house is getting remodeled so we were celebrating Christmas at my brother's. We opened presents and ate and I took a 4 hour nap. I still felt pretty crummy. Christmas is my mom's birthday so we had Steak and Lobster (Crab Legs for me) but I put a ban on any picture taking since I looked horrible. Merry Christmas to me. I did get lots of fun goodies for Christmas. A Dooney & Burke Gator wristlet, Lululemon gift card, Sparkle Athletic visor, clothes, wine, Armpocket to fit my new phone, and a new Garmin 220!! Friday-- rest. I was supposed to run but wasn't up to it. I did do some shopping however. They live right behind this huge town center so Kory and I walked there and did some retail therapy. Then I took another long nap and we met my family at Restaurant Orsay to celebrate my mom's birthday. We had lots of yummy food and laughs. Saturday--rest. We woke up and headed home. I was so glad to see Bella! We spent most of the day cuddling on the couch. Sunday--rest. Faith and I were going to run but Faith wasn't feeling well and my lymph nodes were still hurting so we decided to bail. I'm afraid to push it any after Tuesday's disaster. That night, we went to Painting with a Twist to celebrate Faith's birthday. I am sooo not an artist. I have fun trying though! Kory and I went to Downtown Disney to get our ornaments. We have a tradition where we each pick one out every year. Then we had the holiday sandwich at Earl of Sandwich for dinner and went to see Mockingjay. Kory and I went shopping for our new iPhone 6s but it was a disaster. An hour wait at Best Buy and then for some reason, their computers were showing that we weren't eligible for an upgrade. Grr. I also went to Dance Trance that night. Friday--rest. Meghan was invited to dinner at Barnie's Coffee Kitchen and invited me, Karen, and Andrew along. The night started off a little rough since I was late because I couldn't find parking. But the company was fantastic and the food was great! Check out the coffee art! So cool! After dinner, I had to stop by Trader Joe's since I was so close! Saturday--rest. I worked Tour Guide at GMR and Bella got a haircut. She's so cute. We also finally got our new phones. Yay for Jay at Best Buy! Then we headed to Ron and Kelly's for my favorite Christmas party every year! There's always yummy food, trivia games, and the best White Elephant game! Saturday--ran 10 miles in 1:47:31. Mile 1: 10:21, Mile 2: 10:06, Mile 3: 10:05, Mile 4: 11:20, Mile 5: 10:56, Mile 6: 10:58, Mile 7: 10:53, Mile 8: 11:09, Mile 9: 10:56, Mile 10: 10:46, Average Pace: 10:45. I'm linking up with a a bunch of other blogs to give a recap of some of my favorite races of the year! I had 19 races to choose from! Most Scenic Course: Walt Disney World Marathon. Disney is my love. Being able to run through all 4 parks, seeing the major icons along with characters is the best scenery to me! Most Challenging Course: Gate River Run. This 15k has two bridges. One towards the beginning and the Big Green Monster right at the end!! So pretty though! Best Expo: Princess Half Marathon. 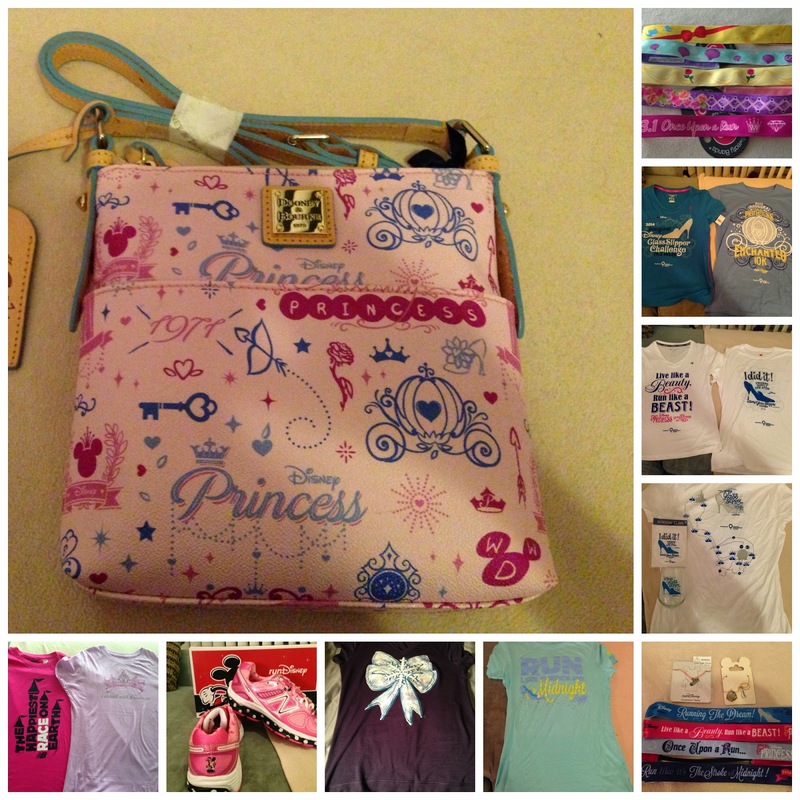 I totally over-spend at runDisney expos and this one is the worst (best?). There are just sooooo many things that are adorable and I want it all! I could spend hours walking around. Here's my goodies from this year! Best Post-Race Food/Beverages: Wine and Dine Half Marathon. At the end of every race, you get a drink of choice between several beers, wine or soda. Then you also get a $10 gift certificate to go spend at Food & Wine in Epcot so you get to pick which one you're craving most! Most Unique Medal: Best Damn Race Cape Coral Half Marathon. I love that this metal is of a glass bottom boat and it's made of stained glass! Favorite Overall Race: any runDisney race. I really can't pick one. I'm addicted to them!!! Best Course Support: Gate River Run. There are sooo many people cheering you on. The people who are in their front yards often provide yummy treats like beer, Popsicles, bacon, donut holes, and my favorite from this past year, mimosas. 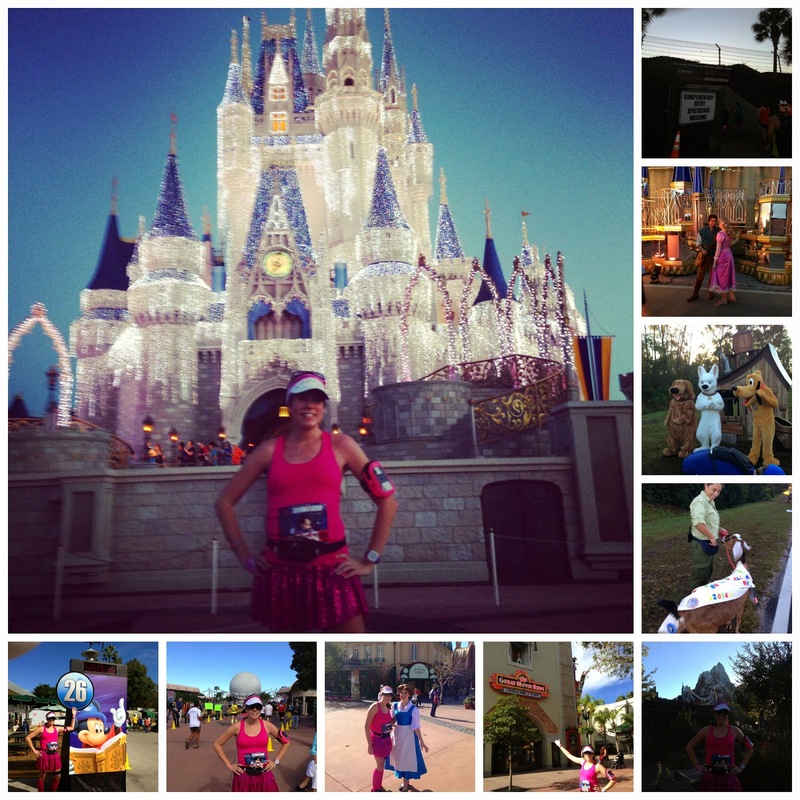 Race You Are Most Proud of Yourself for Completing: Without a doubt, the Walt Disney World Marathon. I was never a runner growing up and once I started running, I only had interests in 5ks. Then 10ks. Then half marathons, and last year, the marathon. I was injured and hadn't run 2 weeks before so I had no idea if I was going to be able to finish (and I ended up having to take 6 months of training off--with 3 races thrown in). But I had so much fun and loved every single minute of it!! Tuesday--ran 3 miles in 31:59. Mile 1: 10:33, Mile 2: 10:51, Mile 3: 10:32, Average Pace: 10:38. Blisters were still bothering me. Later that night I had Math Night at school then Kory & I met up with his volleyball team at Sea Dog for the end of the season get together. Wednesday--Dance Trance. I always forget just how much I love this class! Thursday--ran 7.03 miles in 1:12:27. My dad was in town so I met up with him for some yummy oysters at Johnny's Hideaway. Friday--rest. Kory I headed to Disney for our Christmas fun outing. We went to the Hollywood Studios to see the Spectacle of Lights. We got engaged there so it holds a special place in my heart. Then we went to Epcot to try some of the tasty food for Holidays Around the World. We had the turkey waffle, which was okay, but the hot salted caramel drink was amazing! It tasted like melted Werthers! We stayed to watch the special holiday fireworks. I'm not a fan of Illuminations but the Encore during the holidays is amazing! My cousin sent me her "Flat Ashlynn" so we took some pictures with her. Saturday--Reindeer Run. 2.82 miles in 29:12. 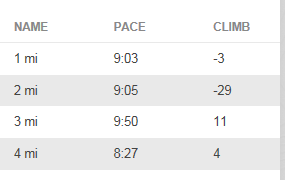 Mile 1: 10:35, Mile 2: 10:48, Mile 2-2.82: 9:32, Average Pace: 10:21. Our group had such awesome costumes! It was cold but we had fun! Sunday-- Best Damn Race Cape Coral Half Marathon. 13.21 miles in 2:11:36. A 1:31 PR! It was freezing and I was sooooo not in the mood to run so I'm quite proud of myself! Mile 1: 9:23, Mile 2: 9:06, Mile 3: 9:07, Mile 4: 9:16, Mile 5: 10:06, Mile 6: 10:40, Mile 7: 10:06, Mile 8: 10:25, Mile 9: 10:12, Mile 10: 10:57, Mile 11: 10:14, Mile 12: 10:34, Mile 13: 10:05, Mile 12-13.21: 9:10, Average Pace: 10:00. After the race, we took quick showers then stopped at Perkins for a quick brunch. Then we headed back home. I hope everyone had a great Thanksgiving week! I sure did! Ate lots of yummy food, visited family, and ran in 2 races! Side note, I ran 111.53 miles this month--the most ever! The most before that was 95.5. Monday--rest. Kory and I drove up to Jacksonville and spent the night with my brother before we headed out of town. Tuesday--rest. I was supposed to run 7 miles but we left Jacksonville at 6am to drive up to Virginia. It was a loooong car ride but we got there quicker than expected. It was great to see my grandparents again! Wednesday--rest. We at lunch at one of my places in Williamsburg growing up, The College Delly. It was different seeing it 20 years later! 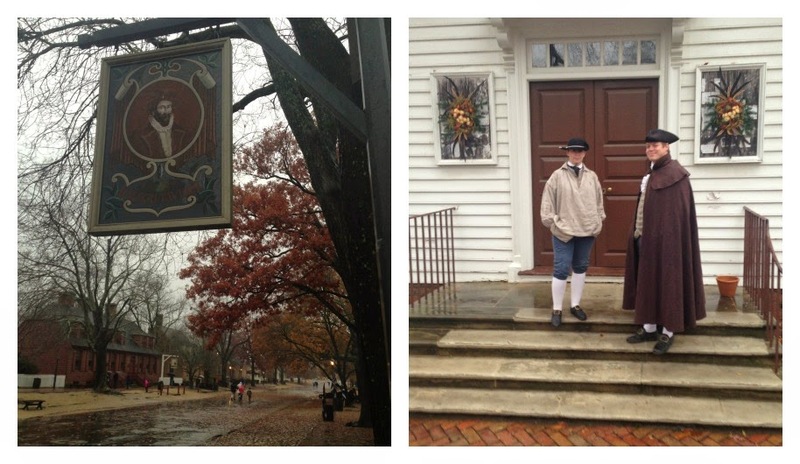 Then we headed into Colonial Williamsburg to stop by the Raleigh Tavern Bakery I remembered from when I was little to get a Gingerbread cookie. It was freezing and raining! Then we headed to packet pickup to pick up my bib for the Blue Talon Bistro Turkey Trot 5k the next day. Later that night I was really regretting signing up. The weather called for 38 degrees and rain. Yuck! Then at 9:50, I realized I had left my running gloves and ear warmer headband in Bella's bag at the pet sitter! Luckily my dad grabbed his keys and we booked it to Target with 3 minutes to spare! Thursday--Blue Talon Bistro Turkey Trot 5k--3.1 miles in 27:50. Mile 1: 9:16, Mile 2: 9:03, Mile 3: 8:45, Mile 3-3.1: 7:51, Average Pace: 8:59. Not bad considering I felt like I was taking it easy since it was wet and slippery. I definitely didn't feel like I was going all out. And it was the first time I've ever done negative splits! It ended up being pretty cold but only raining so slightly that I couldn't really tell. The course was beautiful. I really want to run the Run for the Dream Half Marathon some day! Later that day my aunt, uncle, and cousin came over to my grandparents house and we had my parents' delicious Thanksgiving dinner. This is my favorite meal ever and I look forward to it all year! Friday--rest. We got back up at 6am for the drive home. We stopped in Jacksonville to pick up Bella then drove back to Orlando. Whew 12 and a half hours of driving is too much! I so missed my little girl. She was mopey when we got home. I think it was a combo of being mad at us for leaving her, missing the puppies she was staying with, and being exhausted from being so active for the previous few days! She is such a little cuddlebug though! Saturday--rest. I slept in then drove over to my friend Heather's dad's condo. 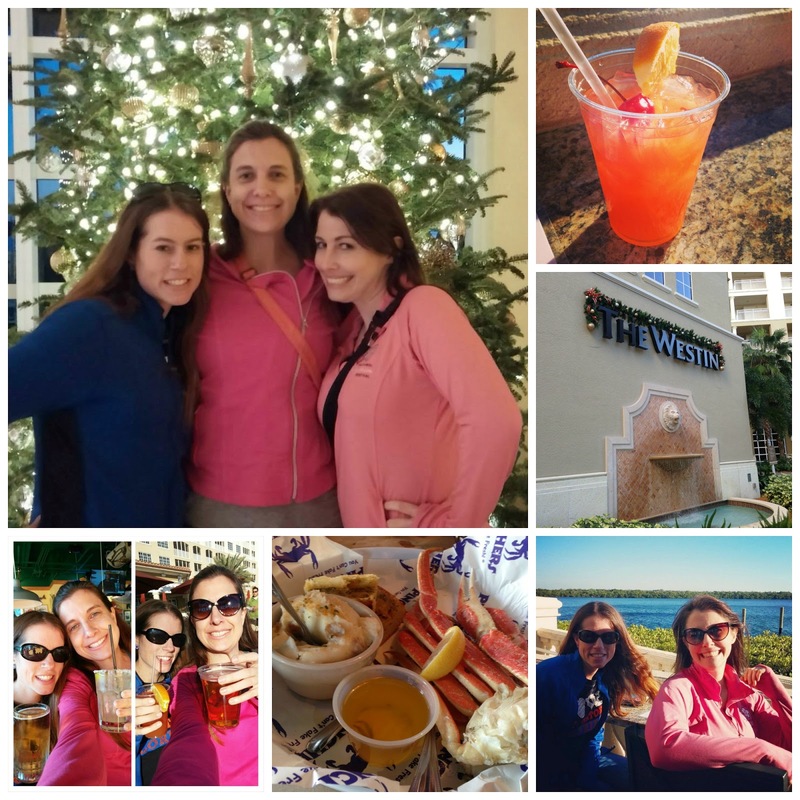 I am so thankful they were letting me stay there so we could run the Space Coast Half Marathon the next day! We headed out to the Expo. 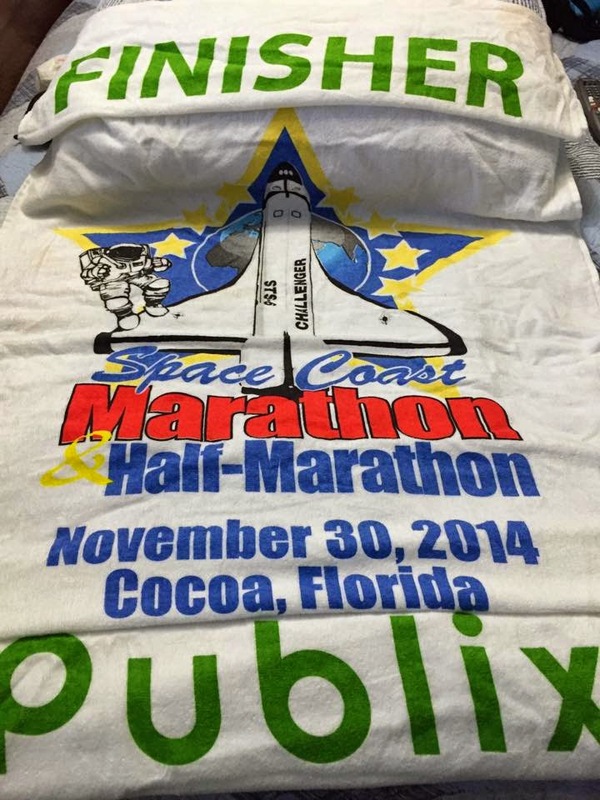 It's harsh, but I have to say, Space Coast Marathon needs to really fix its expo. They're waaaay too crowded in a small space and the merchandise lines are disorganized. Then they ran out of many race shirt sizes, including the ladies small (which they ran out of early in the week). They said they never got a shipment but a friend got one earlier in the week. They can't let people just exchange for sizes there if they don't have extras. If they want to be a big race, then they have to make sure they're efficient all around. Rant over :) We did have fun looking at some of the vendors and taking pictures! We watched the first half of the Gator game at Heather's condo, then headed to Fishlips for dinner. Sigh. We really should have won that game but we blew it! 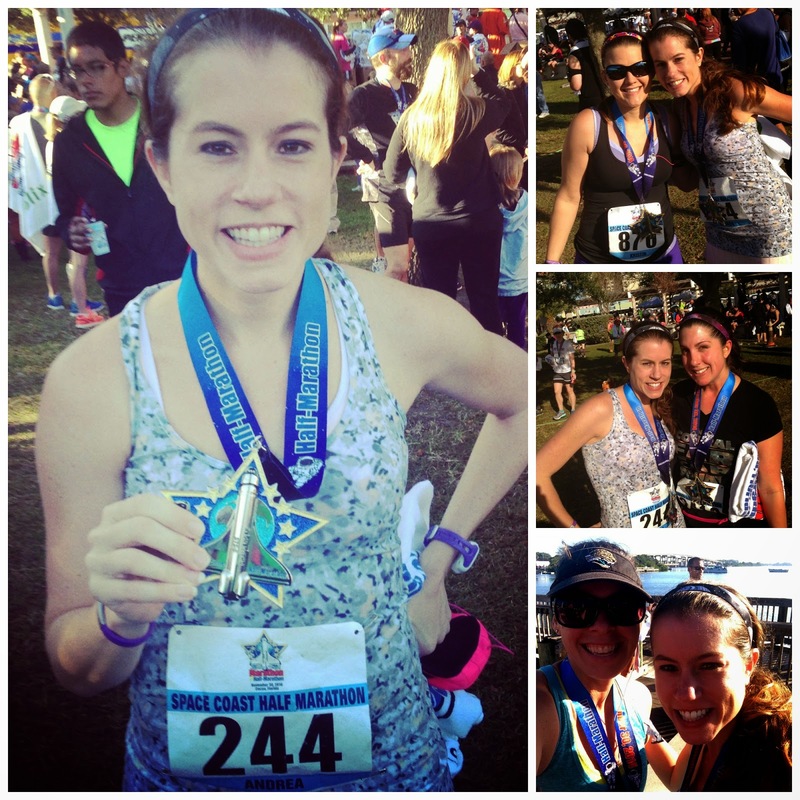 Sunday--Space Coast Half Marathon--13.22 miles in 2:13:07. Big time PR of 7 mins and 6 seconds!! Mile 1: 9:28, Mile 2: 9:27, Mile 3: 9:31, Mile 4: 9:34, Mile 5: 11:07, Mile 6: 10:04, Mile 7: 10:41, Mile 8: 10:02, Mile 9: 10:24, Mile 10: 10:21, Mile 11: 10:08, Mile 12: 10:13, Mile 13: 10:09, Mile 13-13.22: 9:10, Average Pace: 10:04. I felt so good! I ran the first 4 miles then started my 2:1s. But after that mile, I decided I felt well enough to do 3:1s instead! I almost did 4:1s at one point but didn't want to burn out so I just kept it at 3:1s. I feel like after this race, I can be confident of running the marathon in January. Now I just gotta feel confident about running it after running a half marathon the day before! There were so many of my friends running it. Such a great time! This weekend I had a long back-to-back run to prepare for Goofy--8 on Saturday and 16 on Sunday. It was my longest back-to-back run yet and my highest mileage week that I've ever done and I could so feel it. Not feeling so confident about Goofy right now. Monday--rest. Softball tournament got rained out. Tuesday--ran 6.40 miles in 1:08:21. Mile 1: 10:43, Mile 2: 10:38, Mile 3: 11:00, Mile 4: 10:35, Mile 5: 10:49, Mile 6: 10:32, Mile 6-6.4: 10:07, Average Pace: 10:41. Ran the whole thing! Softball tournament at night. We lost :( It was so close the whole game then at the top of the last inning we went up by 7 runs. Surely we should have it, right?? Nope, we lost it. And I didn't help any on the last play of the game. Sigh. Wednesday--rest. I had planned to do Dance Trance but apparently for the package I have, you have to sign up online 6 hours in advance. I didn't know that and tried to sign up right before I left. Thursday--Ran 7 miles in 1:11:47. Ran 36 mins then did 2:1s. Mile 1: 9:46, Mile 2: 10:04, Mile 3: 9:57, Mile 4: 10:33, Mile 5: 10:45, Mile 6: 10:39, Mile 7: 9:59, Average Pace: 10:15. Felt much better about my pace today. That night I went to one of my student's baseball games. They never look very small to me in the classroom because everything is their size. But out there on the field, they look like babies!! Friday--rest. Kory and I had date night at Texas Roadhouse. I've only been there once before but much prefer Outback. Saturday--ran 8 miles in 1:21:48. Mile 1: 9:31, Mile 2: 9:43, Mile 3: 9:49, Mile 4: 9:48, Mile 5: 11:05, Mile 6: 10:36, Mile 7: 10:39, Mile 8: 10:35, Average Pace: 10:13. Great pace again! I ran with Faith & Heather's church running group. It was my first time running on the West Orange Trail and I really liked it! We passed this odd sight of a Seminole, Gator, & Hurricane Apparently a guy used to own this place and keep it great looking but he passed away and no one has kept it up. It was kinda creepy though. Sunday--ran 16 miles in 3:07:50. Mile 1: 10:36, Mile 2: 9:47, Mile 3: 10:07, Mile 4: 12:32, Mile 5: 12:15, Mile 6: 11:59, Mile 7: 11:54, Mile 8: 12:13, Mile 9: 11:53, Mile 10: 11:45, Mile 11: 11:55, Mile 12: 11:57, Mile 13: 12:25, Mile 14: 12:08, Mile 15: 12:29, Mile 16: 11:51, Average Pace: 11:44. Today was really rough. I was over it at mile 9. I think it was because I went pretty hard yesterday and then started out too fast today. At mile 12.5 I had to drop to alternating between 2:1s and 1:1:s and I really wanted to quit. I'm just not sure how I'm going to get another 2 miles for my 18 miler, another 4 miles for my 20 miles and another 10.2 for the marathon!! 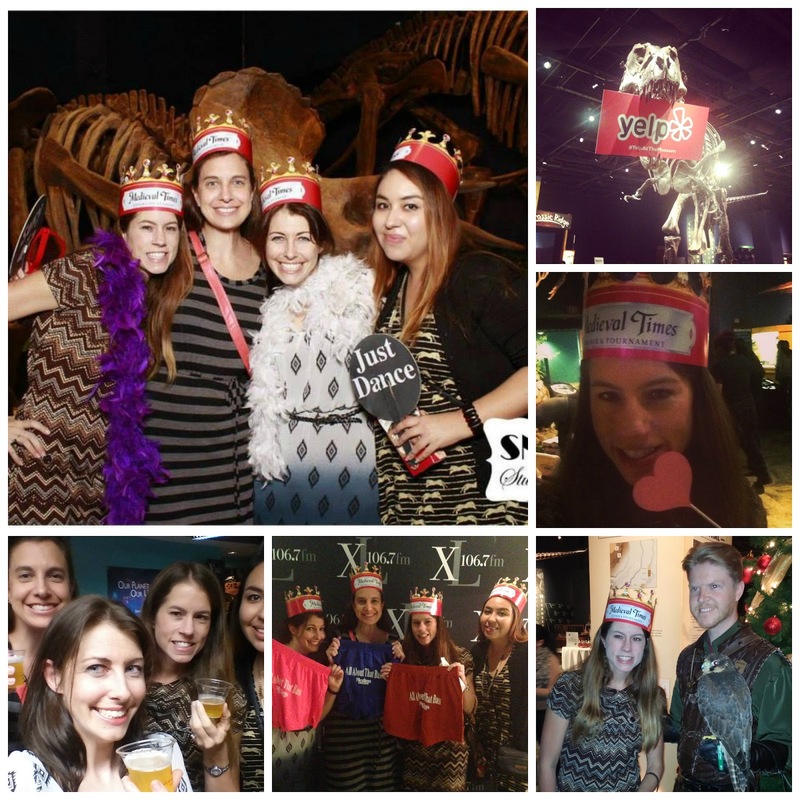 Last week Meghan was invited to attend an event at Krispy Kreme in Winter Park and let me tag along. She knows how much I love doughnuts!! When we were walking up, I was so excited to see the Hot Now sign lit up! The Winter Park location has been there for 11 years but it just went under a really nice renovation. Once inside, my eyes were drawn to all those yummy doughnuts being made. I told Meghan I really just wanted to put my mouth under the part where the doughnuts get the icing. Sugar heaven! They were both really good. The Pumpkin Cheesecake one was similar to a Chocolate Iced Custard Filled doughnut but the topping was cream cheese icing and a gingersnap cookie crumble and the filling tasted like pumpkin cheesecake. But the Pumpkin Spice Cake one was my favorite of the two. It was just the perfect combo of pumpkin spice and sweet icing. And I had to get milk to go with mine. Next we got to dip our own doughnuts in chocolate icing and decorate it!! You can tell I took my job seriously by the way I'm biting my lower lip! I don't like sprinkles so I left mine with just the icing. It was delicious! I may need a new job! There were blank snowman doughnuts and we got to decorate them. I just had to bust out my Disney side again and sing "Do you want to frost a snowman?". Frozen is everywhere, ya know. Mmmm look at all of those doughnuts. And I got to bring home a dozen!! Yes, I was nice and picked some of them out for Kory. But I was saving my set for my long run the following Saturday. Doughnuts and chocolate milk are my post-long run treat!